Like riding through the set of a wild west movie a herd of stallions thunders alongside us as our tyres drum the hollow sounding hard packed single track leading us on a rollercoaster ride across the Kanghi Mountains. 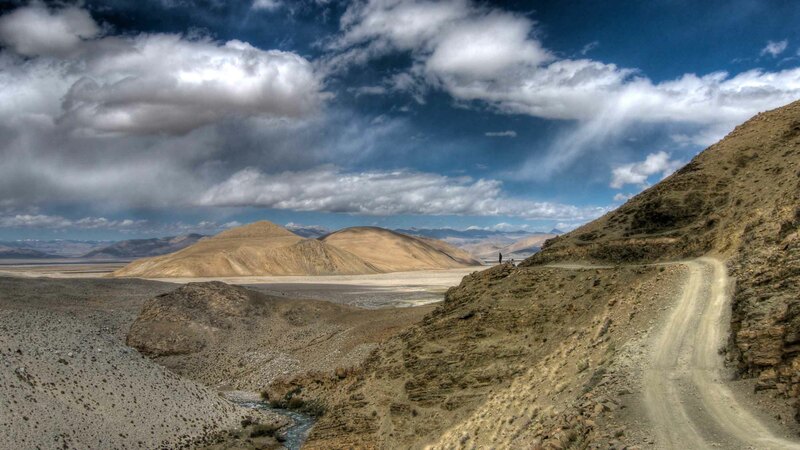 For riding through Mongolia is an experience unlike any other PaintedRoads Tour to date. 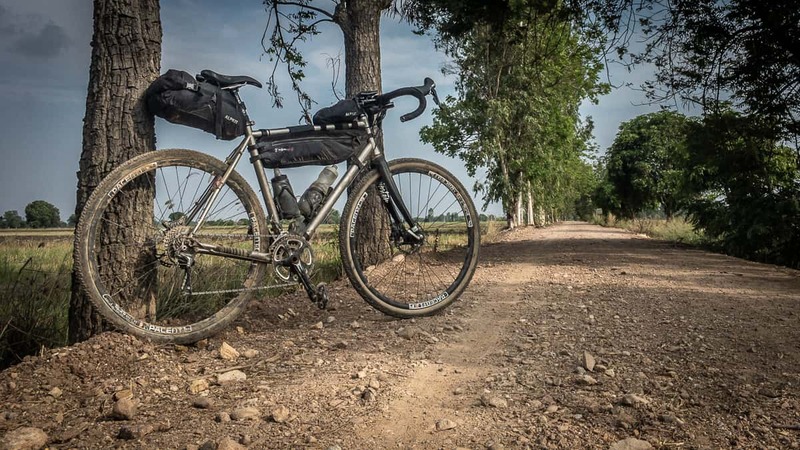 Far more than a simple cycling tour, a fortnight on the Steppe is all-encompassing, a veritable collage of sensations both physical and emotional, with sights, sounds, smells, and riding experiences morphing as we go. Although predominantly dry the weather is not shy to change, with brief rain showers, more often than not soon giving way to warming sunshine as the clouds break and the sun bathes the land in a soft glow. 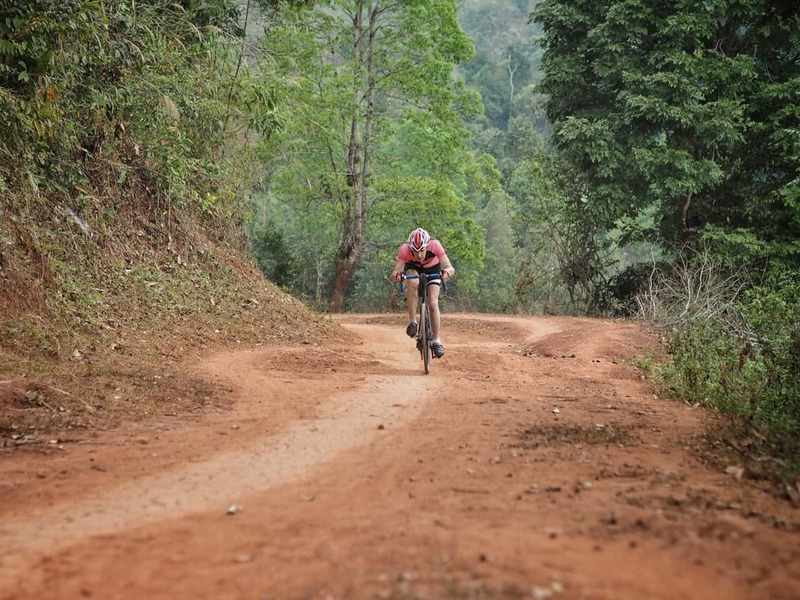 The route begins with some short sharp climbs and gravel trails through an almost treeless landscape. Once across the watershed, the trails give way to more flowing hard packed double track and the hillsides become thicker with vegetation and evergreen forests. Mongolia’s sparse population is predominantly nomadic and, as is so often the case with people who are not strangers to a harsh existence, these yurt dwelling herders are friendly and generous, often visiting our camp to exchange wares with our crew, and offering as much hospitality as they are able when we visit their homes. I have heard it sung that a picture paints a thousand words, so, rather than prattle on further, I shall leave it to my Olympus to lend a sense of this year’s pair of tours in the beautiful land of Mongolia. Next year’s Mongolia Tour will run from June 29 until July 11 and bookings are already coming in. For more details please click here. An amazing place to ride a bicycle. Lots of ‘WOW’ factor – especially on day 3. The only downside to all of the great scenery is that you keep stopping to take more photos! 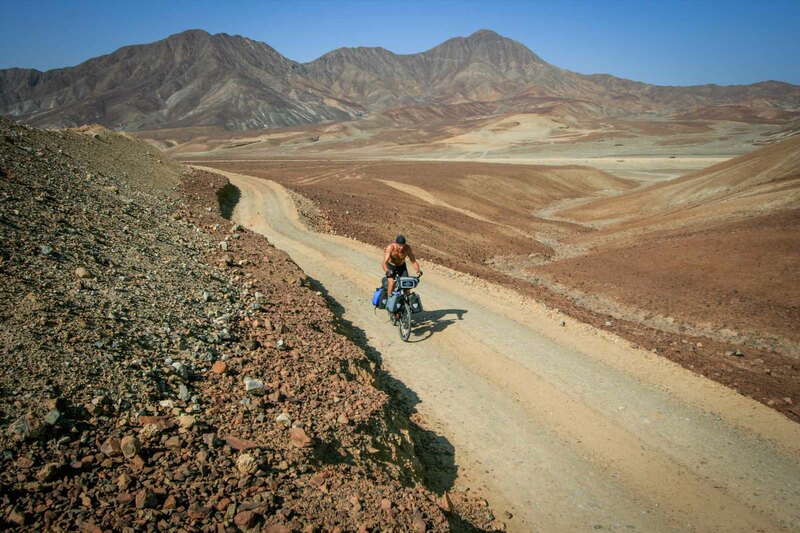 David and the local Mongolian crew have done an excellent job of putting together an off-road adventure designed for those of us cyclists who are primarily road bikers – enough challenge to push us, but not so technical that we were scared. Once again Sprog and I have had another wonderful trip with Painted Roads. This was my third trip with you and it was as well organized and enjoyable as the rest. Having the back-up of the truck when the going got tough was a comfort. How your helpful crew managed to produce such a variety of good food every day was a mystery. We were very appreciative of the way you personally scrutinized our bikes before every departure from camp. I would have no hesitation in recommending Painted Roads to any would-be adventurous cyclist. We had a lot of fun. 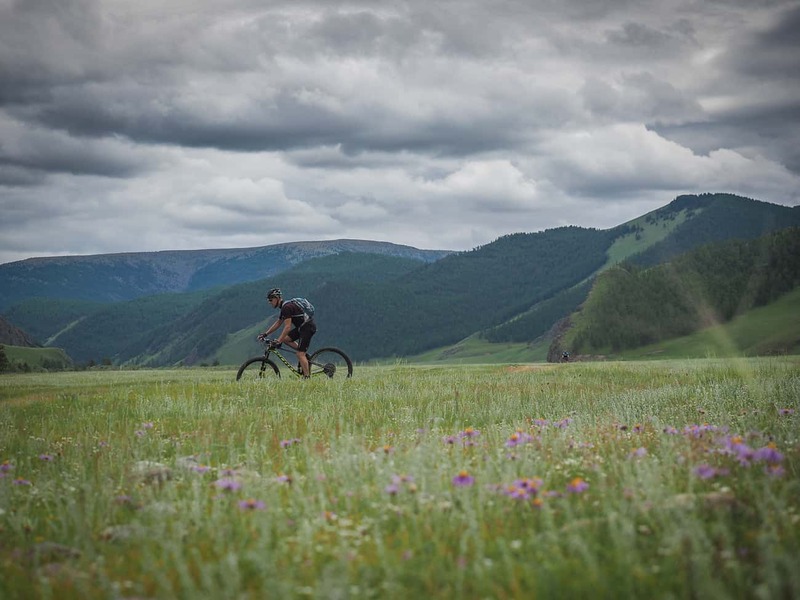 Our Mongolia cycling experience was mountain biking through an immense wilderness, wide open valleys, steep climbs, river crossings, yaks, horses, sheep, goats, and scattered nomad gers (yurts). It’s another world. Think “Wild West” on steroids, missing only the trees and snow-capped peaks. Painted Roads’ drivers, guides and cooks were exceptional. 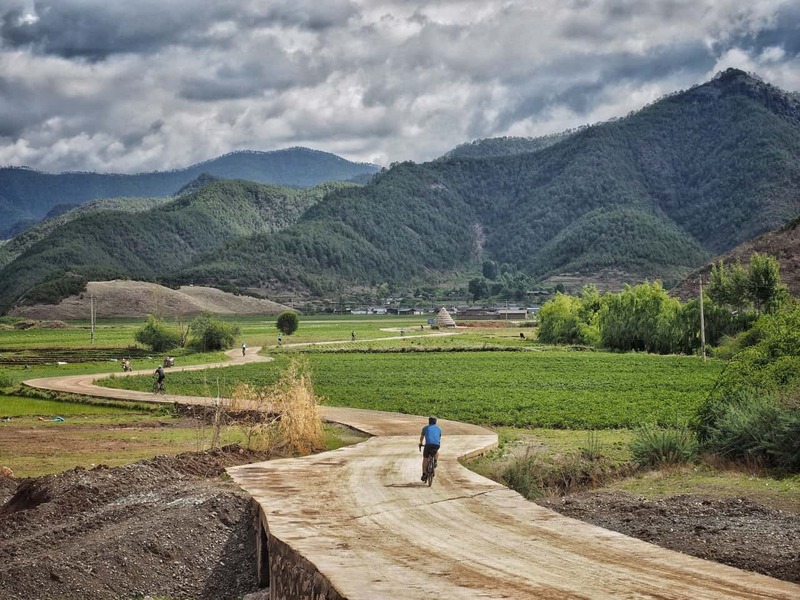 Yunnan Province, China - if pushed for my favourite tour I would have to say that this is it. 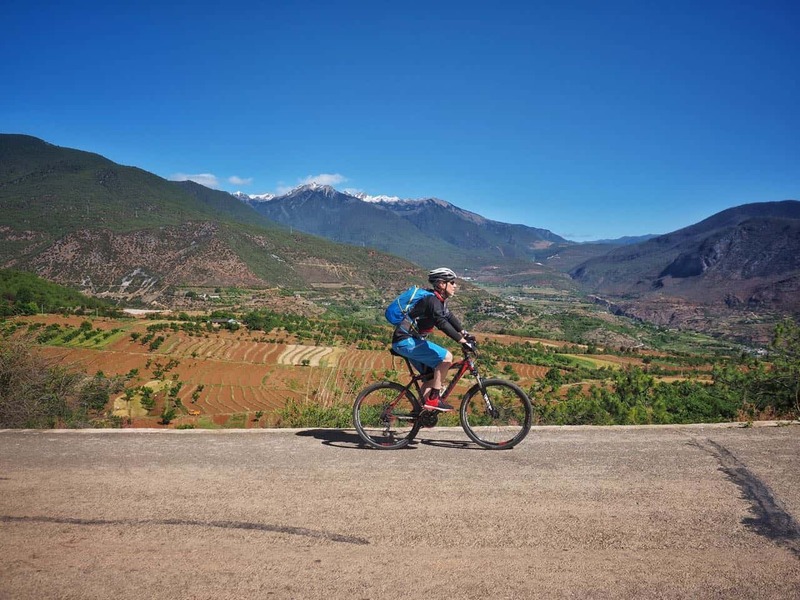 A gem of a ride that takes us from the Tibetan town of Shangri-La, via passes high and gorges deep, to the town of Dali, home the Bai minority people. Between these two contrasting towns we have a stunning ride on almost deserted roads, as for nigh on two weeks we explore magnificent scenery of snow-capped peaks, pine forests, cobbled climbs, and an ancient tea trading town, We dine on what many who have tried it consider to be perhaps the finest cuisine in Asia - the kitchen of Yunnan really bears very little resemblance to the rather dull Cantonese fayre of your local Chinese restaurant. This year’s tour was a small but splendid affair as Echo, Li, and I travelled with PaintedRoads regular David and newcomer Paul enjoying the finest weather we have experienced to date in this fine fine province. We pull off of the Pan Americana highway for the final time with a feeling a relief. Sometimes hectic, sometimes tranquil, we have been dodging on and off this road for the past 4000 kilometres. In Peru, the standard of driving has fallen to an all-time low (which is takes some achieving) and we are happy to leave the lorry drivers, coach chauffeurs, and various other homicidal lunatics behind us. We pull up at the gatehouse of the private road, shake hands with the jovial guard who merrily waves us on towards the highest mountain range outside of the Himalayas, The Cordillera Blanca. The road is a gravel track and will continue so for the lions share of the next month. We are in a desert now with not a sign of life. The desert is beautiful, the contours of the hills the rocks and the sand cast a multitude of hues. This is the South America that we came here for, wilderness open space and beauty. Amidst this parched lowland desert, it is difficult to comprehend that just a hundred or so kilometres away stand giant snow-capped mountains. Come dusk we find a fine camp spot with a magnificent view, the only sound is silence. The sky is clear as we lay outside the tent after dinner watching the stars. We try to identify the Southern Cross. We think we find it, then we find another cross, then another, it is astonishing just how many celestial crosses there are in the night sky. We find Orion's Belt, we always find Orion's Belt, we are happy that Orion's Belt exists for there are few other constellations that we can identify here, then we spot the Plough, larger than in the northern hemisphere and upside down. We discuss the size of space and the fact that the universe is expanding at an incomprehensible speed, we wonder how, given that space is infinite, it can be expanding. We discuss black holes and white dwarfs and wormholes and light years. We discuss things that are really beyond us, we realise that we are becoming very confused and so we retire for the night. This always happens when we camp in a desert. There is a momentary silence as the roar of the raging torrent bellow is replaced by the crunching of gravel beneath our tyres. It is now the second day of the long climb to Huaraz and we are entering one of the many narrow tunnels hewn into the side of the Canyon del Pato. The single lane track clings to the cliff face high above the Rio Santa, the river that relentlessly gouges out the canyon on its journey to the sea. The tunnels on this rock-strewn gravel road are narrow and we are pleased that the traffic is light, to meet a lorry in one of these dark passages would be far from good. Finding camping in this narrow valley is a challenge. Tired after a long day in the saddle we fuel ourselves with a sugar hit from a battered bottle of warm cola before clambering to a ridge high above the road. We while away a pleasant evening there laying outside the tent drinking tea and arguing about which constellation is the Southern Cross, we have to date discovered 37 crosses. The following morning the wind is kind on the climb to the Cordillera Blanc. When it builds to something closer to a gale in the late morning it is behind us. Still, our progress is always slow, we blame this on potholes rocks and piles of loose sand, not on our tired old legs. We stop for a drink break at a small settlement of just a few houses, what do people do out here? There is mining but the level of traffic is so low that despite the occasional appearance of men as black as soot we conclude that it cannot be coal; I see a small restaurant with the word opal in its name, and wonder if this is what they are clawing their way into the rock face for. We sit down with a big bottle of something fizzy and full of sugar, the proprietor gives us an apple each and engages us in a short conversation, where are you from? Where are you going? By bicycle? Wow, very strong? We agree about our strength and point our handsomeness as well. He seems impressed. This open friendliness is repeated all along the way. Exiting the final tunnel we leave the canyon and find ourselves in another world, metaphorically speaking of course. The valley is green, cultivated, and populated with a backdrop of giant snow peaks. The contrast to the past three days is startling. It takes us a total of four days to complete the 330 kilometres to Huaraz. The final 70 kilometres are on paved roads peppered with potholes and populated by drivers who can most politely be described as incompetent, although we came up with a variety of more colourful adjectives with which to describe them. Now at 3100 metres, we will spend a couple of days here acclimatising before heading higher into the thin air of the big hills.